Even after thirty years, I still fall in love with shízhe’e’ (my dad). He is a person who has inspired my vision and encouraged me consistently not to be content with mediocrity. As his Dad taught us to fight – for love and our people – my dad taught me to be brave. Whether it is bravery to say what is unpopular or bravery to feed my creative soul. I have been blessed to have a man in my life that has shown me the power of my own strength. 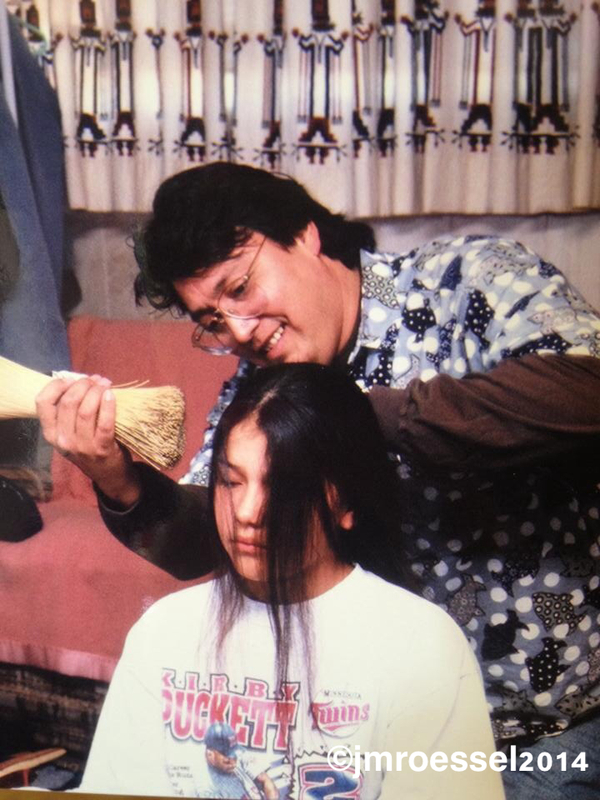 It was my dad who tied my hair when I began each of my Kinaaldás, wrapping my hair with all his and my mom’s hopes for my life. My ceremonies are the greatest gifts my parents have given me. As the ceremony instilled in me a deep connection to my faith as a Diné woman and certifying my place in this world and allegiance to shíDiné (my people). Existing in a world which is always changing, today I send a special note of love, light and gratitude to a wonderful man who continues to inspire me to be better and for whom I would certainly not be the woman I am. Ahé’hee’ Dad for reminding my best is always enough and I can always do more. Happy Father’s Day today but know I am never without your lessons and words. I love you. Can we put this in WnT? I love it. Will give the column reprint w/permission of course.Let me know. Billie K. Fidlin President, Whisper n Thunder Inc. P.O. Box 10891 Glendale, AZ 85318 http://www.whispernthunder.org 602.705.5797 Whisper n Thunder: Empowering Native Americans / First Nations Peoples through Education, Awareness & Opportunity.